Magnet schools are great schools. 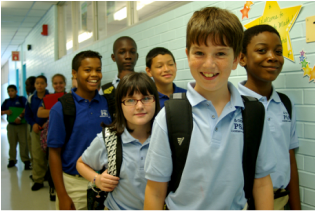 In order to continue to provide children with a high-quality, integrated education, magnet schools need legislation that sustains them for years to come with reliable funding from the state. Magnet schools throughout Connecticut have not received a funding increase from the state since 2010. Every year it is harder for these great schools to provide students with the quality teachers and services they deserve. Magnet schools in Connecticut were created to provide an innovative, high-quality education to students in an integrated environment, and they are doing a great job meeting this challenge. Because magnet schools serve students from multiple districts and neighborhoods, some services like transportation can be more complicated to provide than at a neighborhood school. We need to advocate for smart policies to ensure all students have equal access to magnet schools. No parent should pay for their child to participate in integrated magnet school programs, and the need for high-quality integrated educational opportunities starts in preschool. 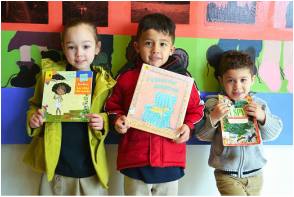 With the right start, magnet schools can ensure that all students are reading on grade level in Grade 3 and that there is no achievement gap between students.